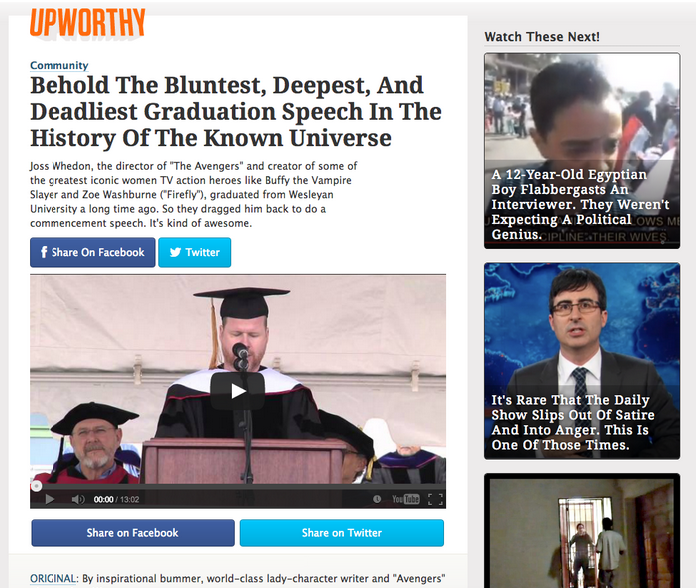 Founded in 2012, Upworthy is an online media company built upon one key principle: news virality through videos. The company’s co-founder, Peter Koechley, is constantly looking for ways to increase social sharing around Upworthy’s content on platforms like Facebook and Twitter. 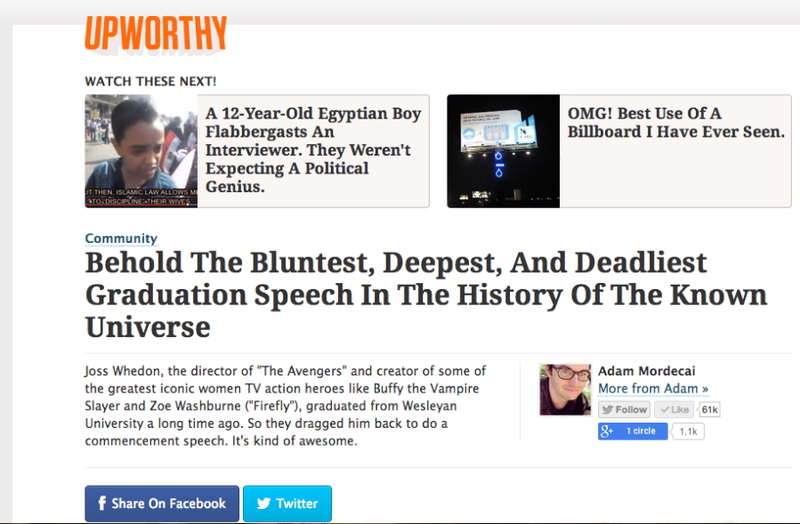 But as Upworthy’s audience grew, Peter realized that the site’s design was not keeping up with the needs of frequent visitors. Engagement was growing and people were spending more time on the site – but it was difficult to find additional content after landing on the site. “Our users wanted to dig deeper, but there was no obvious way to get to a second piece of content,” says Peter. Peter’s goal was to increase sitewide engagement, while maintaining the sharing-optimized user experience. So his team decided to test it out, experimenting with variety of recommended content module designs and layouts. They hoped to find an option that would provide users with more content while still having a minimal effect on social sharing. Peter and his team opted to take a two-phased approach. For phase one, they built and tested 7 different placements and layouts for the recommended content module to see which performed best. Two of the variations tested for recommended content, which placed modules in the sidebar and header areas. The team adopted the placement for the recommended content that performed best – the right sidebar displaying three recommended content options. Then, it was on to phase 2, during which the team used Optimizely to hone in on the module’s design. “Once we decided on that location, we wireframed different designs and tested them out,” says Peter. “We were testing in order to figure out the right design concept.” They tested different image sizes, fonts, text layouts, and spacing. The right sidebar, paired with a minimal design, increased social shares by 28%. Now, the team is focused on capitalizing on their win in order to continue to fuel readership growth and engagement. The success from this type of feature development and testing demonstrated the value to the team of taking the time to work through different variations to determine the optimal version. Peter’s two-phased approach first solidified the strongest placement for the content module and then honed in on design specifics. By finding what module actually performed best and then dialing in on the details, Peter was able to find the best possible user experience. Peter and his team believed that adding distractions to their site’s pages would decrease social sharing. “We care about testing because, we think we’re clever and all, but whenever we think we know what’s going to win a test, we’re almost always wrong,” says Peter. Without Optimizely, they would not have learned that the recommended content module was actually a valuable addition to their site – both in terms of sharing and engagement. There are 100 ideas we want to test in the near future. Optimizely adds to our ability to move quickly and build on our site – test early, test often, launch early, launch often.